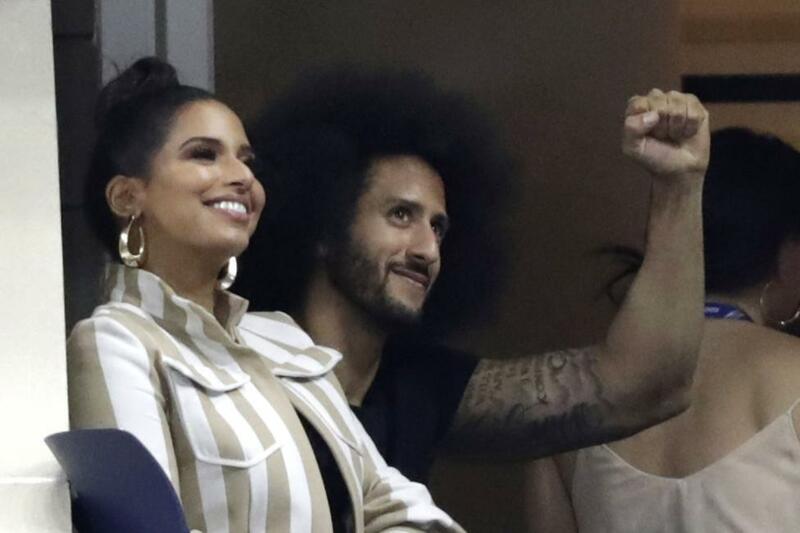 The NFL released a statement on Tuesday in the aftermath of the league's corporate sponsor, Nike, releasing an advertising campaign featuring Colin Kaepernick. The situation is complicated by the fact that Kaepernick has a grievance against the league in which he claims the NFL and all 32 teams are involved in collusion to try to keep him out of the league following his protests during the national anthem. The NFL responded to the Nike campaign. "The National Football League believes in dialogue, understanding and unity," executive vice president of communications and public affairs Jocelyn Moore said in the league's statement. "We embrace the role and responsibility of everyone involved with this game to promote meaningful, positive change in our communities. The social justice issues that Colin and other professional athletes have raised deserve our attention and action." The Washington Post reported that some people are destroying their Nike gear or saying they will switch to other brands to protest the ad compaign that includes Kaepernick. The NFL also released a fact sheet regarding its social justice initiative, noting work that has been done by players and teams in the community. In May, the NFL and the Players Coalition established a partnership that features nearly $90 million in funds to promote programs and efforts that combat social inequality. Kaepernick opted out of his contract with the San Francisco 49ers in March 2017 and has not been signed by an NFL team since.